It’s time to celebrate! If you are sending the noughties out in style, you could at least be a little naughty. How about a quick run down of the best drinks for a fantastic time, but hey, let’s be sophisticated about things. Any joker can order martini, like comedy, the trick is in the timing. Of course, there’s no point in taking things to seriously, we are after all talking about a globally sanctioned booze fest – not exactly an intimate encounter. 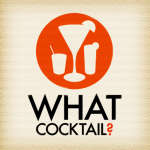 #5 – French 75: It’s tall, it’s clean, and it’s bubbly. The name sounds classy (even if artillery is involved) and what’s not to like about gin, lemon, sugar, and champagne. The Cocktail Hacker have a nice little write up about it. #4 – Cosmopolitan: It’s pink, it’s a bit special, but it sure goes down smooth. When wearing light colours, it’s best ordered when seated and even that won’t save your silk dress… But hey, it’s a flirty fun drink and it shouldn’t be too hard to find a place that will make one for you. #3 – Long Island Iced Tea: Okay, we admit, we are a little bit embarrassed to be suggesting this drink, but if you file it in the guilty pleasures category, you’ll notice that New Year’s Eve is already taking space in that metaphorical cabinet. The good thing is just about any bar can make one and it’s hard to mess up. Incredibly, it’s not that bad of drink and like a Margarita it’s a great place to start the fiesta. Just don’t order more than one – okay. #2 – Daiquiri: We’ve said it before, and we’ll say it again – this is a great drink that doesn’t get enough respect. The great thing about the Daiquiri is that without much fuss, your bartender can easily adjust it to suit your taste – a little more sour, a little more sweet. And trust us, as the night goes on, ditching the sweet taste is probably a good idea. Just don’t order them frozen, this ain’t spring break ya know. #1 – The Martini: The king of class. Never has so much elegance concealed so much debauchery. Perfect for New Year’s Eve then. Think of it as 3 ounces of gin (or vodka if you must) in a ticking time bomb. No rush, but you want to finish this drink before it gets warm or even slightly less cold. If you are in a particularly nice bar, might we recommend you try the Vesper Martini – but make sure it’s stirred. Follow it all up with a glass of water and maybe a tall drink – perhaps a French 75. So there we have it, and as you can see, we tried to balance overall drink elegance with party mood, general availability and likelihood of not annoying your bartender who will no doubt be overworked and underpaid (hint: tip generously). We’ve tried to taken into account the seasonality, particularly for the northern hemisphere, but our southern hemisphere, height of summer may have gotten the best of us at times. We like limes – a lot. French 75 – perfect! Nice and clean drink, ergo nice and clean hangover (or lack of). Great post!